Bermudian author Janet Wingate is launching the 2nd edition of her book ‘Nonsuch Summer’, with a book signing at the Bermuda Book Store during Harbour Nights this evening [July 9th]. It tells the story of her childhood on Nonsuch Island, and brings to life the creation of the living museum there, including the challengeto save the cahow. 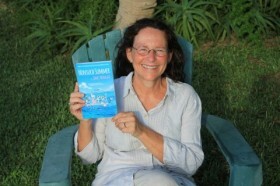 The book has been used in Bermuda’s schools and is entertaining for children and adults alike. It won the 2008 Bermuda Government literary prize in the category of teen and young adultfiction.